Newly renovated block home that features 4 bedrooms, 2 baths, an oversized 1 car garage, & a fenced yard! From the minute you drive up to the home, you will notice the well-manicured landscaping, newer windows, & welcoming front patio. Upon entering, the generous natural lighting showcases the open floor plan that boost new 5.25 baseboards & new bamboo wood flooring that flows throughout the living room, hallway, kitchen, & dining room areas. The stunning gourmet kitchen has new stainless steel appliances, a new sink, a new garbage disposal, custom granite countertops & island, new cabinetry with soft close kitchen drawers, & glass tile backsplash. Sliders lead to a screened-in back patio that overlooks a fenced yard with an elevated deck perfect for entertaining or sunbathing. This home also features a split floor plan, which is ideal for large families, multi-generational families, or a growing family! The master suite has its own private bath with custom tiled walk-in shower, new vanity, cabinets, & fixtures. The additional 3 bedrooms are spacious & bright. The hall bath features an elegant tiled shower with a jetted spa tub with new vanity, cabinet, & light fixture. Home has fresh paint, new neutral carpet in all bedrooms, new closet doors, new light fixtures & fans, & newer electrical panel. 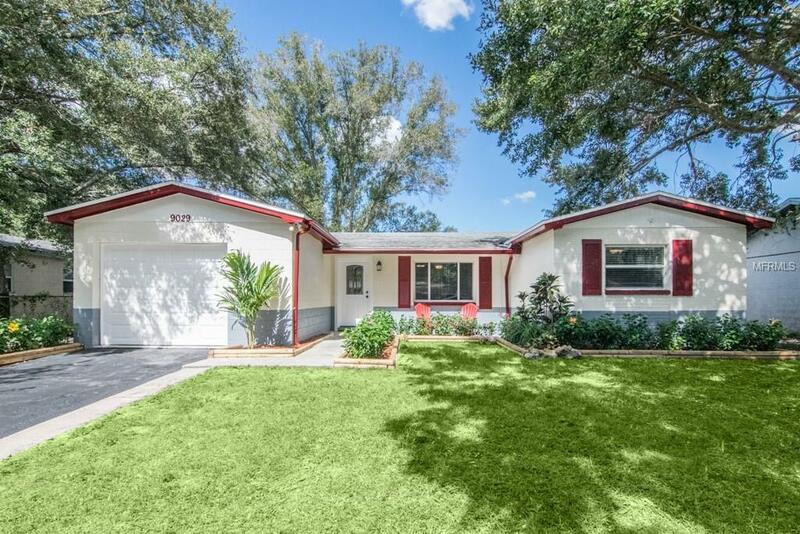 Located in the desirable Bardmoor area of Seminole. Close to the beautiful beaches & walking distance to Starbucks, Publix, Applebee's, & so much more! Home also includes a Buyers 1 Year Home Warranty! Additional Lease Restrictions Please Check With Pinellas County For Any Lease Restrictions.